Detroit is one of those cities that for some reason is always slept on, despite all the talent and success which comes out of it (Slim, Obie, Kid Rock, Royce, Dilla [RIP], etc). 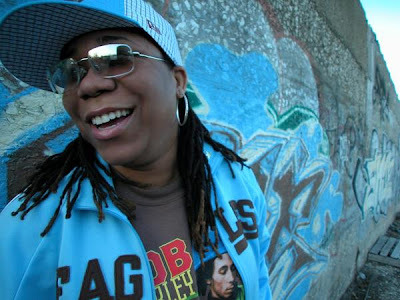 I'm working with someone on a project to feature some talent from Detroit soon but through him I learned about an emcee named Miz Korona. She is NICE!!! Oh, my goodness....when I heard her song "Playground" I about punched my speakers. Check it here on her Bandcamp page then after you recover click on the album cover for her mixtape "Dope Muzik".